The Resuscitation Device with Valve in Keyring Pouch (Pack of 10) is a convenient way to carry a face shield used to protect those administering CPR. It is extremely portable, enabling you to attach it to your keys, bag or belt loops to ensure you always have a mouth-to-mouth device on your person should the worst happen. The reality is that only one in ten people who suffer from cardiac arrests outside of the hospital survive. With tens of thousands of people suffering from cardiac arrests each year, it is important to perform basic CPR before the arrival of the emergency services to give the victim a chance. Without CPR, a person suffering from cardiac arrest will die within minutes. 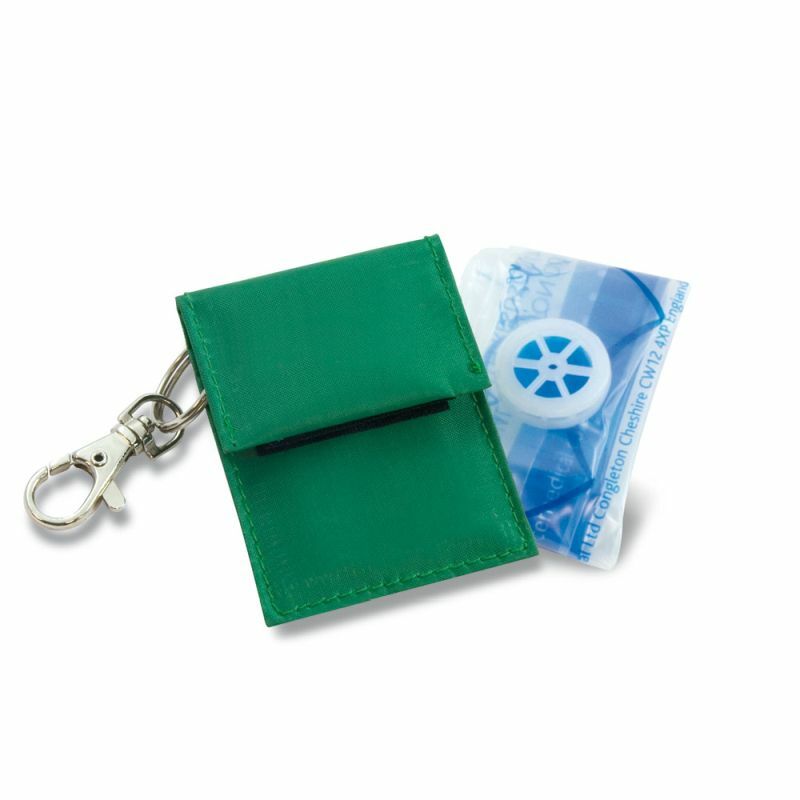 This handy keyring is able to carry one resuscitation device, and is small enough to attach to keys, bags and clothes with minimal disruption. You never know when cardiac arrests will strike, for you or those around you, so it is useful to carry this pouch everyday so that you are always prepared in case CPR needs to be performed. The plastic film of the Resuscitation Device has an integrated one-way valve that allows expired air ventilation, for a safer and more effective resuscitation method. This device acts as a practical shield to prevent cross-contamination while performing mouth-to-mouth resuscitation. The Resuscitation Device with Valve in Keyring Pouch (Pack of 10) is usually dispatched via First Class Royal Mail and delivery should be within 1 to 3 working days.